The Plumbers Local Union 68 Health & Welfare Fund provides employees and Eligible Dependents working under the Collective Bargaining Agreements and Contractor Participation Agreements a comprehensive benefit package including medical, vision, dental, prescription, Life Insurance and Short Term Disability. For further information, please refer to the Summary Plan Description. 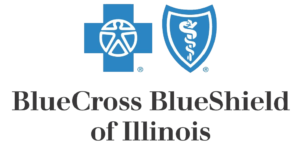 The Plumbers Local Union 68 Health & Welfare Fund is a self-funded, self-administered plan that is in partnership with Blue Cross/Blue Shield of Illinois which provides access to an expanding network of providers while reducing costs to Plan Participants. Blue Cross/Blue Shield offers one of the largest provider networks in Texas and surrounding areas and has been able to negotiate substantially lower rates for our members. Login and fill out form online. The following are Plan Documents and Statements which can be viewed here or printed for your convenience. Please contact the Fund Office if you need help or any additional information. If you need forms associated with the Administration of the Plumbers Local 68 GPP, please access the forms section shown above. A review of Frequently asked Questions and Answers (FAQS) may be useful. Participants Must Login to view any of their personal information.